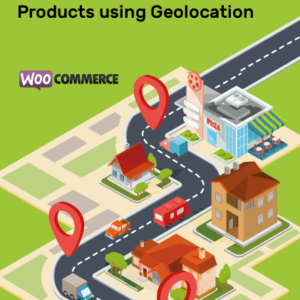 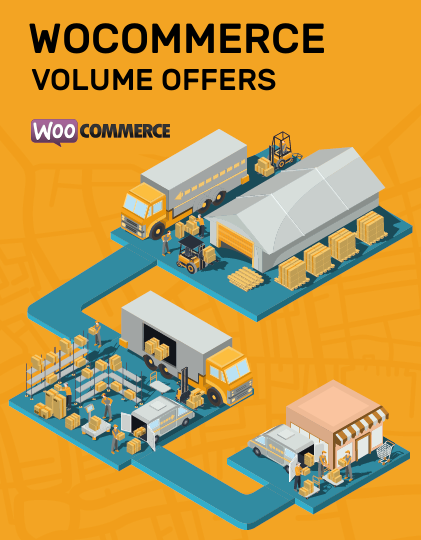 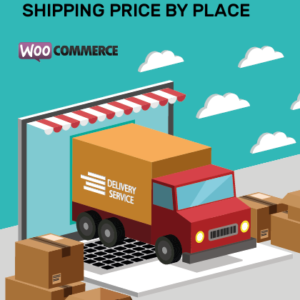 Woocommerce Volume Offers allows made offers in your store as 2×1, 3×1, 3×2 or more. 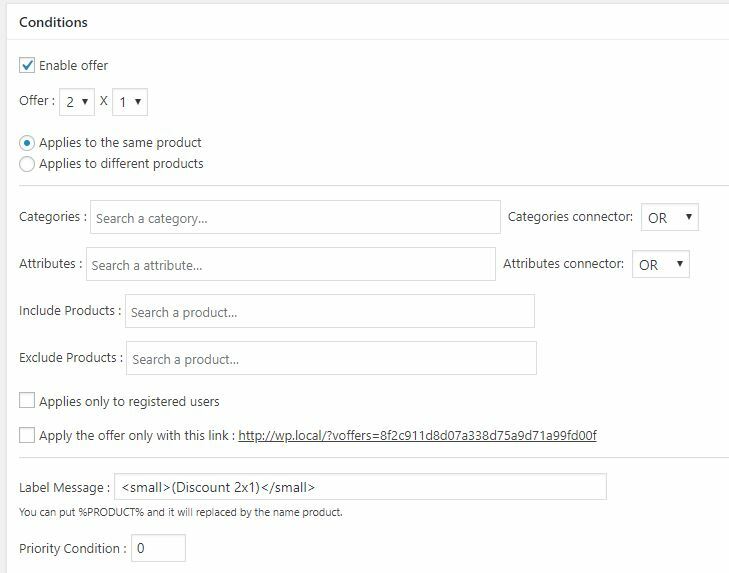 To these offers you can apply filters according to business rules. 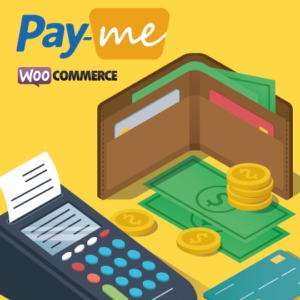 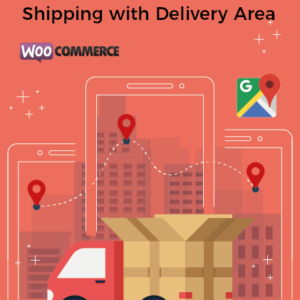 With this plugin you will be able to make offers of the type 2×1, 3×2 and others, besides you can apply conditions or restrictions that the commerce thinks convenient. 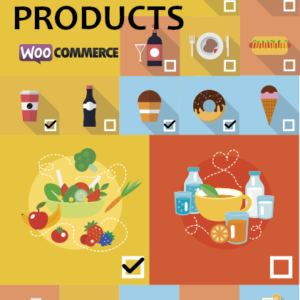 This offers can apply to a brand, to a product type, to a category or to all the store! 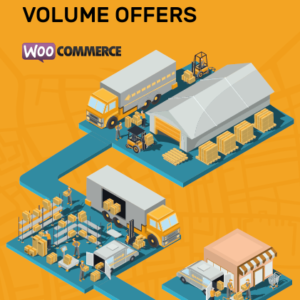 You must add the offers in this panel. 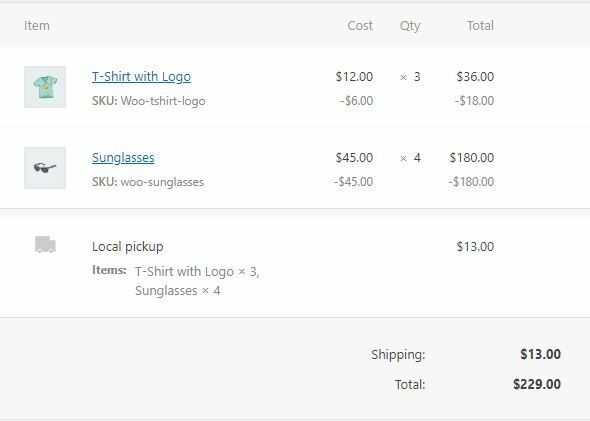 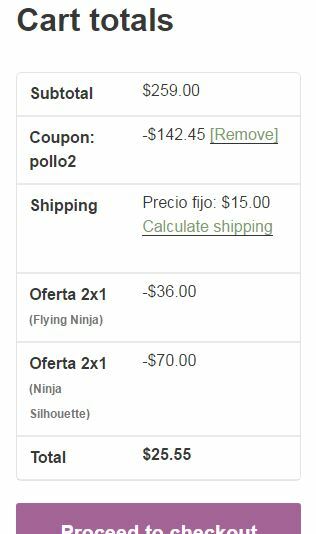 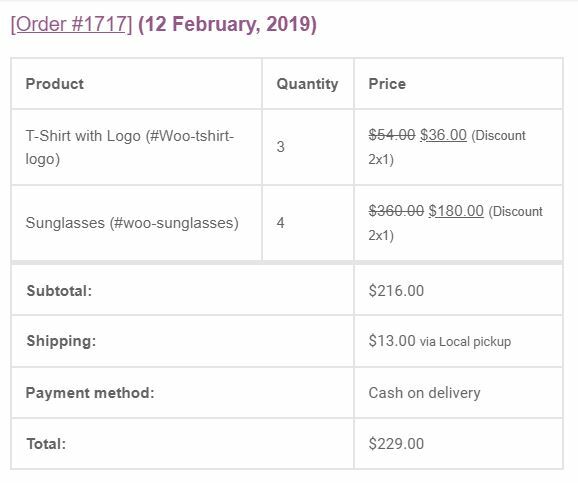 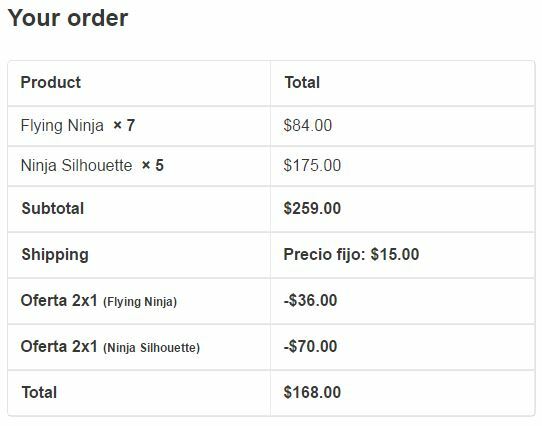 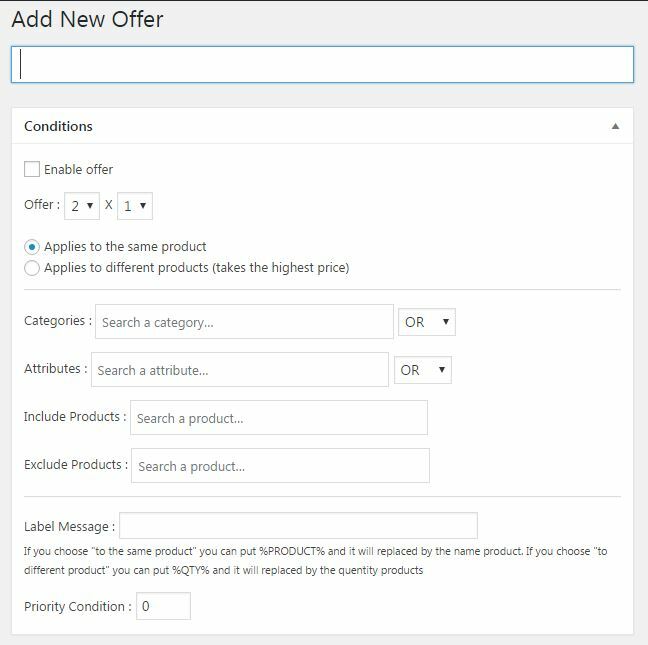 Here you can add the conditions to the offer, besides you can customize the message the customer will see in your order view.